Crbbies Grand National winner Many Clouds at at trainer Oliver Sherwood’s (right) Lambourn stables with his lad CJ (Chris Jerdin left). Pic: Courtesy of Great British Racing. Grand National winner Many Clouds heads the betting with the sponsors at 4-1 for the bet365 Charlie Hall Chase at Wetherby on Saturday. The Oliver Sherwood-trained eight-year-old is one of 11 entries for the £100,000 Grade 2 contest over an extended three miles, on what would be his first start since the Aintree victory under Leighton Aspell.who was winning the National for the second successive year. “We’re delighted with the initial entries and look forward to a really competitive race,” bet365 spokesman Pat Cooney said. Many Clouds heads the betting from Dynaste, Holywell and Cue Card who are all priced at 5-1 and the latter’s trainer, Colin Tizzard, is hopeful of a big run from the 2013 Ryanair Chase winner. “The intention is to go to Wetherby with Cue Card,” Tizzard said of his stable star whose preparation was interrupted by a wind problem last season. He returned in April to finish second to Don Cossack in the Melling Chase at Aintree and fourth to the same rival in the Punchestown Gold Cup. “He had a whizz around Wincanton last weekend and seems in very good form so we are looking forward to it,” Tizzard continued. 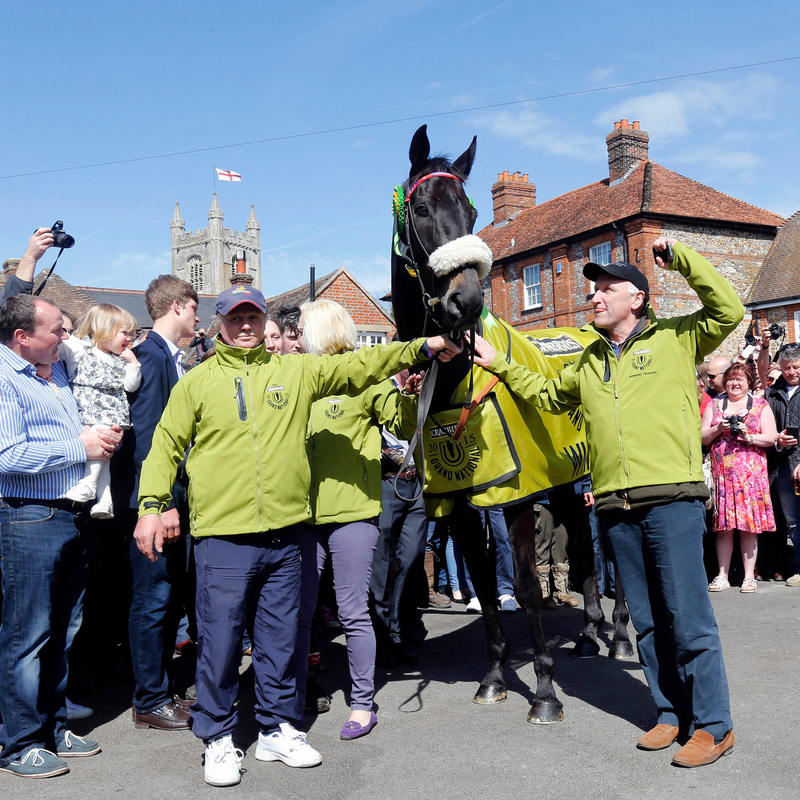 “I thought his performances at Aintree and Punchestown were encouraging. He was obviously struggling with a trapped epiglottis [cartilage flap that covers windpipe opening] before that and we think he is much better this season, although we have to wait until he runs. “We worked four horses around Wincanton, including a couple of 130-rated horses, and he was far, far superior to them.